G’day and welcome to Partake Glimpses Stories. Where we see together how Jesus is alive today, working in peoples lives in different ways and is relevant to the world today, 2000 years after He walked the earth, died, rose again and ascended to the right hand of God the Father. Today we have an experienced pastor, Jim Allis, talking about a situation where God undoubtedly entered peoples lives and transformed them. So over to you – Jim! Hello there! My name is Jim Allis and I have seen Jesus alive in many situations in my life where God without a shadow of a doubt has entered people’s lives and transformed them. Here is one of those encounters! One morning the Lord revealed to my heart how to help a person to Christ by explaining the Ten Commandments one by one. During this time she would repent and be converted. Her husband would not respond on this occasion but would at a later date. When I arrived at her home, I turned to Exodus 20 and when I came to the fifth commandment regarding the relationship she had with her parents she turned to her husband and blurted out “I haven’t kept that one. I have not honoured them. Jim, can I get right with God now?” “If you know God is dealing with you” I replied. She did, and oblivious of others in the room listening, she submitted to God and her life was changed, proving she was wonderfully born again that evening. Many years later she is still going on with the Lord. When her husband saw what was happening to his wife he said “I am not ready for this” I quietly said “ I knew you wouldn’t today, but you will one day.” Some months later just like the Lord said would happen, he was converted as he sat at traffic lights waiting for them to change from red to green. God spoke into his heart and in the time it takes for lights to change he entered into knowing the joy of the Lord as he came clean with God. He too is now a mature believer. 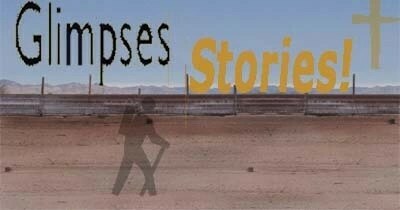 G’day and welcome to Partake Glimpses Stories! Today I have a special guest from Taiwan giving a glimpse of how she started her Christian walk. She will be speaking in Chinese, so please do let other Chinese speakers know about her testimony. Thank you and over to you, Jenny. If you have found this helpful, please do leave a comment! Thank you. 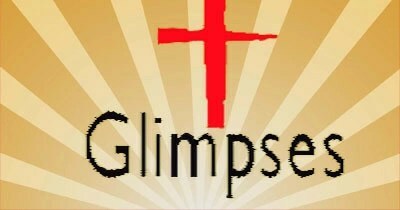 G’day and welcome to Partake Glimpses Stories, where we see together how Jesus is alive today, working in different peoples lives in different ways. We aim to show Jesus as being relevant to the world today, some 2000 years after He walked the earth, died on a Roman cross, rose again to new life from physical death and ascended back to the right hand of God the Father. Today, once more we take a step back to recent history, into the 20th century, and a very brief glimpse at the Christianity of a well-known Christian. Echoing these words, Dietrich Bonhoeffer wrote “When Jesus Christ calls a man, he bids him come and die. … Discipleship is not an offer that man makes to Jesus Christ, nor is it hero worship, but intimacy with Christ.” (The Cost of Discipleship). He knew that as a Christian, a person has to take up their own cross in following Jesus and count the cost of being a disciple of Jesus Christ. “For my first night in prison I was locked up in an admission cell. The blankets in the camp had such a foul smell that in spite of the cold it was impossible to use them. Next morning a piece of bread was thrown into my cell; I had to pick it up from the floor. The sound of the prison’s staff vile abuse of the prisoners who were held for investigation penetrated into my cell for the first time; since then, I have heard it every day from morning to night. The first night in my cell I could sleep very little because in the next cell a prisoner wept loudly for several hours. Nobody took any notice. So, after just twelve nights in atrocious conditions, because he had good connections on the outside of prison, he was moved to a more spacious, cleaner and quieter cell. He probably had no choice about the cell he was given. He could have just eaten the extra food given to him there. But he decided not to, because to eat that extra food, he would have robbed somebody else. For him, material possessions and food were part of his Christian discipleship – part of the cost of following Jesus Christ faithfully. Just as they are of your Christian discipleship – whether you are aware of it or not. But another facet of the cost of Dietrich Bonhoeffer following Jesus was speaking out for those who had no voice. In the case of Bonhoeffer, the Jewish race undergoing systematic persecution and extinction under Hitler and the German Nazis. He ultimately paid the price for his speaking out for those who had no voice. His life motto could be summed up in these 2 sentences from his writings: “One act of obedience is better than one hundred sermons … Action springs not from thought, but from a readiness for responsibility,” He was eventually hanged on April 9, 1945 following the failure of an assassination attempt on Hitler on July 20, 1944. His life actions echoed his words. How are you counting the cost of being a disciple of Jesus Christ? What do your material possessions and consumption of necessities of food say about your being a Christian? Are you willing to speak up for those who have no voice in your local community, national community and global community? If this has helped you in your journey of faith, please do let us know how it has helped your own journey of faith by making a comment below!. Thank you.